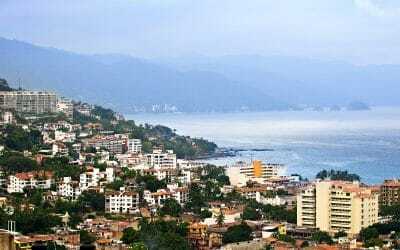 Grand Solmar Timeshare knows that for any traveler, one of the highlights of a vacation are the scenic views they can enjoy while visiting a property. This resort is home to some of the best scenery in Cabo San Lucas. Take the opportunity to indulge in the tropical breeze and palm trees, the stretching white sand beaches along gorgeous blue waters, and be sure to visit one of the most famous landmarks in the world that’s just a short distance away, El Arco de Cabo San Lucas. This vacation destination offers many beautiful areas to explore that any traveler will enjoy. Grand Solmar Vacation Club offers Upscale Timeshare. Grand Solmar Vacation Club has been one of the resorts in Cabo that has stood the test of time. With the best location situated at the famous Lands End. This is where the Pacific Ocean meets the tranquil Sea Of Cortez. This resort is like other, offering the best views where one can watch cruise ships come and go, and whales breach in front of your eyes. Grand Solmar Vacation Club can provide a brand of Timeshare like no other. Most members will agree that their home resort is chosen for a reason, it’s simply the best. Grand Solmar Vacation Club offers luxury condos that are your home away from home. Stock up on your favorite foods and cocktails and sit back and enjoy. There are so many things in Cabo San Lucas to make the choices are many. The bars and nightclubs and sightseeing are endless. Members of Grand Solmar Vacation Club find that resort is so fantastic that staying there all week is pleasure beyond belief. Why go anywhere when you have all the best luxurious at your beck and call. The resort is award-winning and rightfully so, take one trip and stay at Grand Solmar Vacation Club, and you can see why we are the choice of many. Check out our deals on fishing. Catching your first Marlin will be a memory the will last forever.